There is no evening performance on Thanksgiving Day, however we feature a special Grand Buffet for the matinee which is also available for dining only reservations at 1:00 and 1:30 p.m.
Tuesday matinees will be held on November 26 and December 17, 2019. 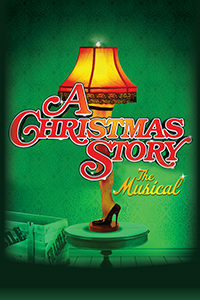 Friday matinee and evening performances will be held on December 6, 13 and 20, 2019. Beef Short Rib slowly braised in beef stock and dressed with a red wine demi-glaze and Chicken Cordon Bleu – a skinless Breast of Chicken, dipped in buttermilk and egg, rolled in bread crumbs and sautéed to a golden brown, topped with an herbed Cream Cheese with Dijon Mustard, Jones Cherrywood Smoked Canadian Bacon, and Jarlsberg Swiss Cheese on a Rosemary Velouté Sauce. Served with Scalloped Potatoes and Spaghetti Squash with Tomato Concasse. Homemade Vanilla Bean and Gingerbread Custards in a Molasses Crust topped with Whipped Cream and Toffee Chips. The Evening begins with our Signature Salad topped with Papaya Chutney Dressing and served with Freshly Baked Breads. Each show our Chefs prepare two special entrée selections in addition to these Fireside favorites: Barbecued Pork Back Ribs, Chicken Tenderloin Tempura with Brandied Apricot Sauce, Beer Batter Fried Cod, Shrimp and Scallops Fusilli with Tomato Butter Sauce, Fresh Atlantic Salmon, Beef Tenderloin and Roast Turkey from the Carving Station, Sweet Potato Soufflé, Whipped Idaho Potatoes and Roasted Farm Fresh Vegetables. Gingerbread Frozen Custard Pie for Dessert. Coffee, Tea and Milk are included with your dinner. Begin your Brunch with an assortment of Quick Breads and Pastries from our Bakery along with a Fresh Fruit Smoothie. Each show our Chef will prepare a Beef Tenderloin dish and select one of our popular Breakfast Potatoes for our Brunch Buffet which includes Chef-Carved Jones Hickory Smoked Ham and Roast Turkey Breast, Eggs Benedict on Jones Canadian Bacon, Scrambled Eggs, Crisp Bacon, Maple Sausage Links, Chicken Tenderloin Tempura with Brandied Apricot Sauce, Biscuits and Sausage Gravy, Fresh Atlantic Salmon, Buttermilk Pancakes, and Roasted Farm Fresh Vegetables. Gingerbread Frozen Custard Pie for Dessert. Coffee, Tea and Milk are included with your Brunch.